“A group of Palestinian Arab academics and intellectuals are pressing Madonna to abandon her plans to perform at the Eurovision Song Contest, which will be held in Israel next month. The European Broadcasting Union confirmed earlier this week that the pop icon will take the stage in Tel Aviv on May 28. It will be her fourth time performing in the Jewish state. The Palestinian Campaign for the Academic and Cultural Boycott of Israel (PACBI) - part of a Boycott, Divestment and Sanctions (BDS) campaign – has called on her to cancel the performance, suggesting her appearance would be used by the Israeli government "to mask its deepening oppression of Palestinians." "The call from Palestinian artists to boycott Eurovision hosted by Israel is supported by more than 100,000 people signing petitions, over 100 LGBTQIA groups, more than 20 Israeli artists, and hundreds of prominent international artists including the 1994 Eurovision winner,” the organization said. "Israel's fanatic, far-right government is cynically exploiting your performance, and those of the contestants, to mask its deepening oppression of Palestinians," it charged”. I have addressed the Israel issue before and whether artists should play there right now. In previous articles, I asked whether it was fair to deny fans the chance to see their favourite artists. Many Israeli citizens cannot afford to travel to another country/part of Israel to see a gig – hoping to avoid tension and judgement. Madonna is playing Eurovision, not to stir trouble or create publicity – although she has a new album coming soon -, but to deliver something special to the people. It is sad when politics and conflict impacts on music and creates negative energy around artists. Madonna does not have a political standpoint regarding the issues in Israel and is not looking to back either side. Instead, she just wants to perform and contribute to a special night. One could say that music has nothing to do with politics –many seem to disagree. Madonna is known for supporting the L.G.B.T.Q.I.A.+ community and, back in the 1980s/1990s, putting the AIDS crisis into focus and generally raising her voice when it was required. She could easily weigh in on the debate and speak out but, rather than stir a hornet’s nest, she has remained relatively quiet. The iconic artists has been performing around the world for years and I do not think it is right for anyone to say whether she should be at Eurovision or not. Other nations have issue regarding warring factions or there are political tensions but, in many cases, artists are not accused and told to stay away. Musicians want to connect with their fans and are not supporting atrocities when they play in nations ravaged by division. I have been reading an article from DAZED - written early last year - that looked back at the occasions where various artists have been faced with that questions: Do I play Israel or sit this one out? The controversy may seem familiar to music fans. Last year, Radiohead ended up in a similar situation with a show they had booked for Tel Aviv – but unlike Lorde, they went ahead despite the backlash. In recent years, artists from Lana Del Rey to Nick Cave have all drawn controversy over their decisions to either perform or not perform in Israel, while last August, more than eight artists withdrew from Berlin’s Pop-Kultur festival over its partnership with the Israeli Embassy”. “Inspired by the South African anti-apartheid movement, BDS is a non-violent, Palestinian-led campaign that protests the Israeli occupation of Palestinian land. As Amnesty International report, Israel has occupied Palestinian land in the West Bank, East Jerusalem, and the Gaza strip for decades in violation of various international and human rights laws. Many musicians have supported the cultural boycott. Scheduled concerts from Lauryn Hill to the late Gil Scott-Heron have all been axed in the past, while Princess Nokia cancelled her slot at Kalamazoo Festival last year. Outside of Israel itself, BDS asks artists to decline participation in anything sponsored by the Israeli government, which is what happened at Berlin’s Pop-Kultur last year. This year, over 100 artists (including Brian Eno, Kathleen Hanna, Talib Kweli, and Roger Waters) have signed an open letter supporting Lorde’s decision to cancel her Tel Aviv show, while rapper Vic Mensa recently penned an op-ed describing his experiences in Palestine. However, many musicians have gone ahead with scheduled performances in Israel despite calls to cancel. Lady Gaga, Justin Timberlake, and Macy Gray have all played (though Gray later said she regretted it), while two high profile examples last year came from Radiohead and Nick Cave. 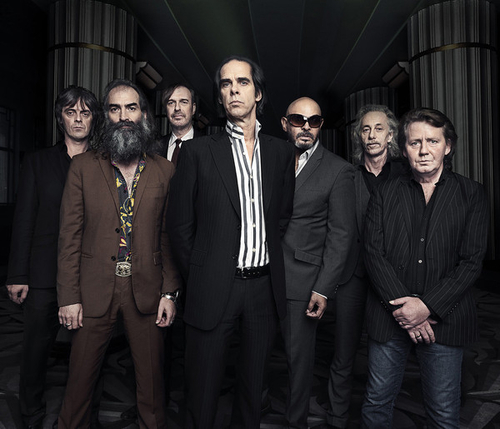 Speaking at a press conference in Jerusalem, Nick Cave said he wanted to “make a principled stand against anyone who wants to censor and silence musicians.” When Radiohead went ahead with their Tel Aviv show, frontman Thom Yorke issued a statement: “Playing in a country isn’t the same as endorsing the government… We don’t endorse (Israeli Prime Minister) Netanyahu any more than Trump, but we still play in America. Music, art, academia is about crossing borders not building them”. Would artists like Madonna be turning a blind eye and encouraging the current state of affairs if they boycotted? I do not see what artists have to gain from overlooking Israel. Their fans are being denied and it is ridiculous telling musicians to stay away. Unless an artist has an overt political opinion that could exacerbate the situation then I see no harm in them performing. Surely? !